Helmut Newton, a photo by Davidap2009 on Flickr. Many that know me well will tell you I can’t pass a bookshop without stopping and having a look. Imagine my suprise when I was in my local shopping centre to find Helmut Newtons Sumo complete with stand and boxed in a pile of take 3 for Kr100 books . So This book which sells for 64 pounds on Amazon UK became mine foronly 3.50. Not bad when only going shopping for groceries. Jammy! I haven’t heard that for a while :0). I can only agree. 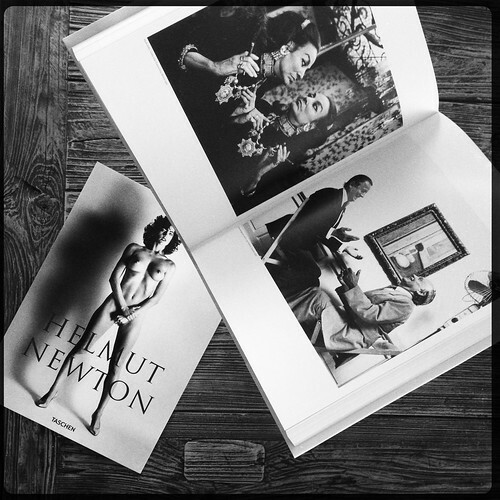 there’s a big Helmut Newton exhibit in L.A. now at the Annenberg.